Dogs bark for a variety of reasons, from expressing themselves, alerting you to what they perceive as a potential danger, or just because they’re bored. While it is natural for a dog to bark sometimes, too much can become a nuisance. Here are three tips to help keep the barking under control. 1) Is There Really A Problem? It’s always good to double check that your pup isn’t alerting you to a real problem. Just like Lassie, a smart puppy lets their humans know when something isn’t quite right. Unfortunately, a young puppy doesn’t have a lot of experience with the world and might mistake a normal event for something strange. Turning it into a teaching moment by reassuring your puppy that everything is alright, will benefit everyone in the long run (and should eventually lead to less barking). 2) Is Your Puppy Bored? If a dog doesn’t get sufficient exercise and mental stimulation, they will find ways to entertain themselves…like barking. A happy puppy is less likely to bark. So take you pup out for a walk, work on some training or check out these great brain games to play with your pup. 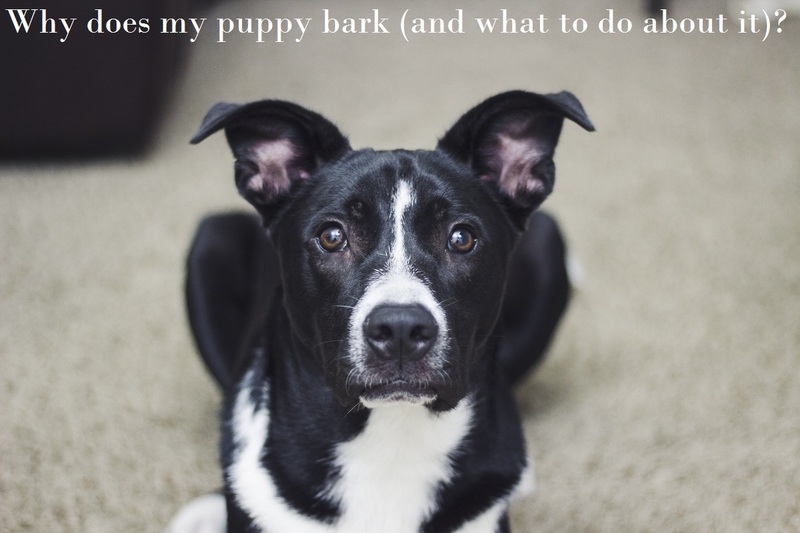 This may sound odd if you’re looking for ways to get your puppy to bark less but by training them to bark, you can also teach them NOT to bark. This activity calls for a tasty, high value treat and some patience. In the beginning, it can help to use a situation when your dog barks. For example, most dogs will bark for the doorbell, so saying “bark” or “speak” and then having an assistant ring the doorbell allows you reward the behavior. Eventually, your puppy should understand that if they bark when asked they’ll get a great treat. Once the behavior is established, you can work to stop the behavior. Andre Yeu has a great video demonstrating how to teach your dog to “speak” and then “be quiet”.